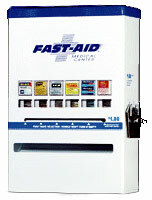 THE MEDICINE DISPENSING MACHINE AUTHORITY – Fast-Aid machines dispense name brand as well as industrial OTC medicines. Durable 16 gauge steel with powder coated paint finish. Separate keyed compartment for medication and coins. All steel coin mechanism vends with coins or tokens. 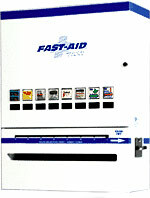 Machines designed to be wall mounted. 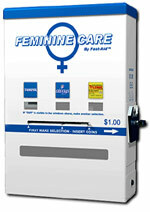 Optional pedestal bases, stands, or cabinets available.